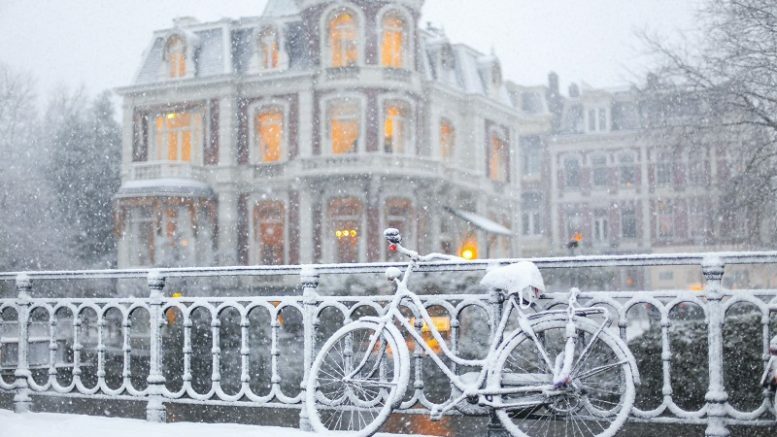 Many people avoid traveling to Amsterdam in winter because of the cold and they should not! The shorter days are an excellent opportunity to enjoy the illuminated city. And to be even more spectacular, Amsterdam organizes each winter the festival of lights, with daring artistic proposals. Tulips put an end to the spring, and trees drop their leaves in autumn and now comes the cold many ask me what to do in Amsterdam in winter? Cold in this part of northern Europe frightens many travelers, but with the right clothes, coming well prepared, with an adventurous spirit and by following these tips for things to do in Amsterdam in winter , I’m sure you will forget the cold and enjoy much from this city that looks especially beautiful in winter. You can ice skate in many other cities, such as London , for example, but do it in Amsterdam is special. The first time I put on some skates I could not keep my balance and I spent more time trying not to fall than sliding on the ice. I needed some time to learn the technique. It was enough to swing the body from one side to the other, like a pendulum, and let it slide down the icy surface. It is very fun when you have mastered the skates a bit. If you can not skate not be afraid to try . You are in the best place for it and you will also feel like another Dutchman: skating on ice is almost a national sport here. When the temperature drops enough for several days, the Amsterdam canals freeze , becoming gleaming ice rinks that cross the city. Skating on the channels following the rhythm of classical music is a memorable experience. Even small kiosks are installed on the ice to dispense comforting liquors and hot drinks to skaters. A basic precaution: you must be careful when skating under bridges, or better not, because here the ice layer is usually thinner, it can crack and sink. In general, avoid areas where the Dutch do not skate. 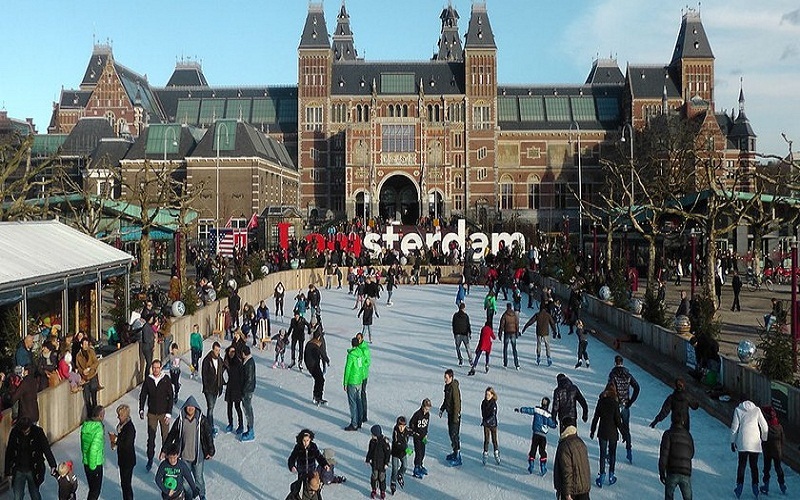 If you are sightseeing or want to get started, the best of them is the skating rink Museum : simply the great sheet of water opposite the sign known freezes I Amsterdam . You can bring your own equipment or rent skates and everything you need here. Although you are not a fan of visiting museums, Amsterdam has so many types and variety of them that you surely find one that you like. They are the best known, like the Museum , the Van Gog Museum and the Anne Frank , which are two of the main tourist attractions of Amsterdam. But there are also other more unique spaces such as the Amsterdam Museum that tells the history of the city of the canals. Apart from this, there are many more worthy of being explored, such as the Petroleum, the Foam Gratuitousness Amsterdam (one of the most important museums of photography in the world), the Jewish Historical Museum, which deals with the rich history of Judaism in the Nether lands and the rest of the planet (temporary exhibitions are excellent), or Van Loom Museum, located in one of the elegant houses next to one of the most famous canals of Amsterdam , which belonged to one of the most powerful families in the city. 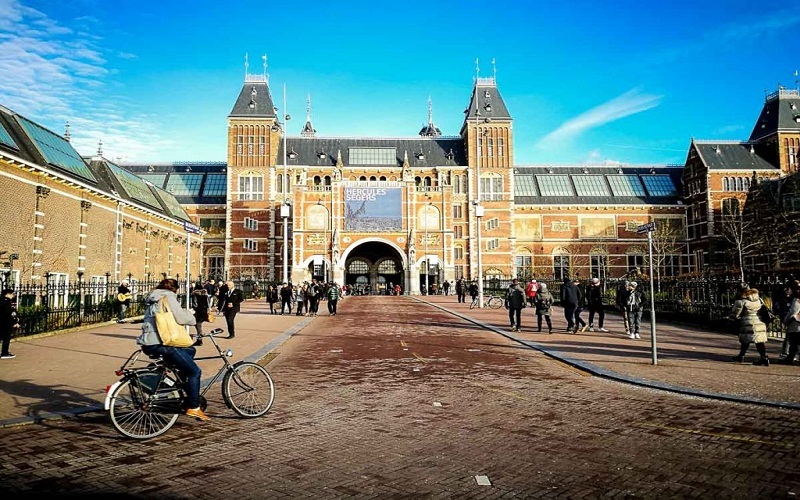 The big advantage is that almost all museums of Amsterdam are includes in the I Amsterdam City Card , so if you’ve done with this discount card can visit for free . When the weather is bad, it is best to explore history and approach art and culture, past and future. And if I have not convinced you to visit the museums of Amsterdam. You can eat in Amsterdam at any time of year, but in winter you want more. Sitting at the table before a good hot dish is something very comforting when the cold presses. The Netherlands has a long culinary tradition and there are many good and hearty dishes that come quite well in winter. In addition, there are many seasonal delicacies that can only be tasted in cold weather. 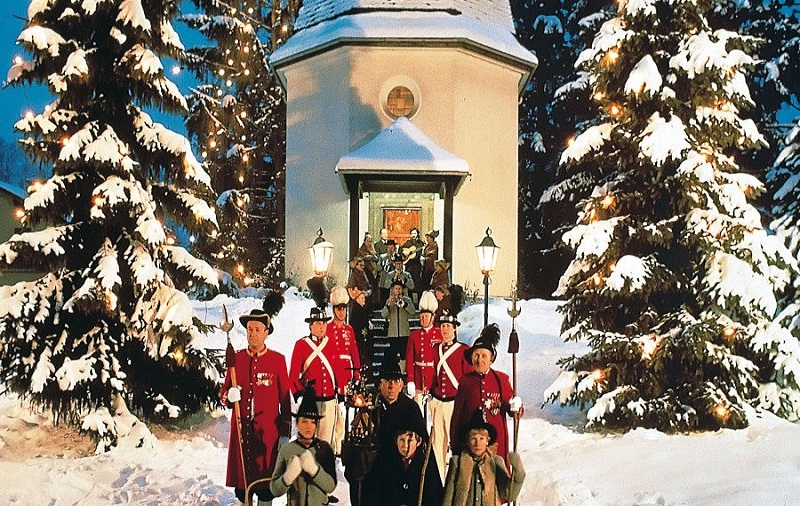 For example, a fun plan to do is venture out to skate on the ice rink Museum and then regain strength eating some proffers daggers and accompanied by a cup of hot chocolate. You can also take refuge from the cold eating the best apple pie in Amsterdam. 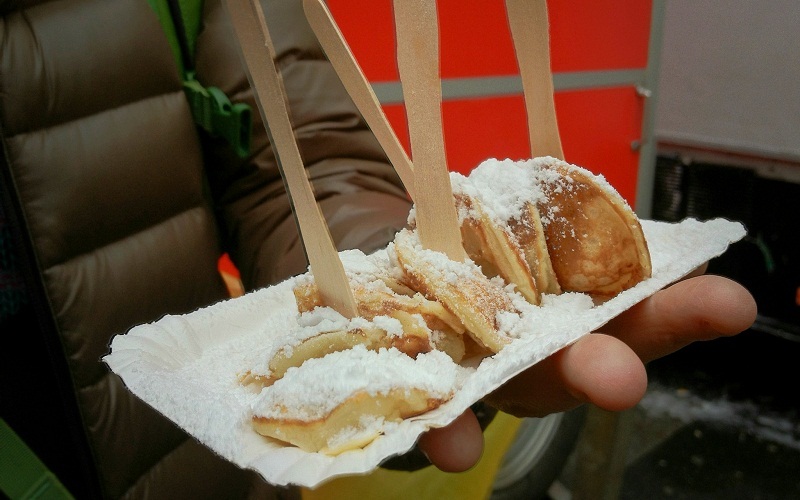 Tasting the typical Dutch food is also acquiring culture, do not you think? Amsterdam Festival Lights Cruise Channels Falling early in the winter is not necessarily a disadvantage as you can check by reading the following suggestion. The decoration and the Christmas lights of Amsterdam can be seen until the beginning of January, and the winter lasts a little longer. During the Christmas holidays, much of the city will be decorated with lights in the streets and on the facades of some houses, as night falls early, look nicer longer. Pleasant, cozy, attractive, social mix. It’s something that makes you feel good in a specific way. You know? For example, when you go to a dinner at the house of some good friends, that feeling when you are talking, laughing and drinking wine until many times and you find yourself tired but happy. This is gazelle . Well I think Amsterdam during the winter nights, with the yellow lights of the windows that are reflected in the street and turn each corner into a cozy place. The Christmas illuminations are not the only lights of winter in the city of the canals. Every year during the entire winter season, Amsterdam is illuminated with hundreds of installations and bright statues in a temporary exhibition spread throughout the city. It is the Amsterdam Light Festival, or Festival of Lights Amsterdam .The festival is held annually and each edition is dedicated to a different theme, which is always a reason to return every year to Amsterdam to enjoy the light show. 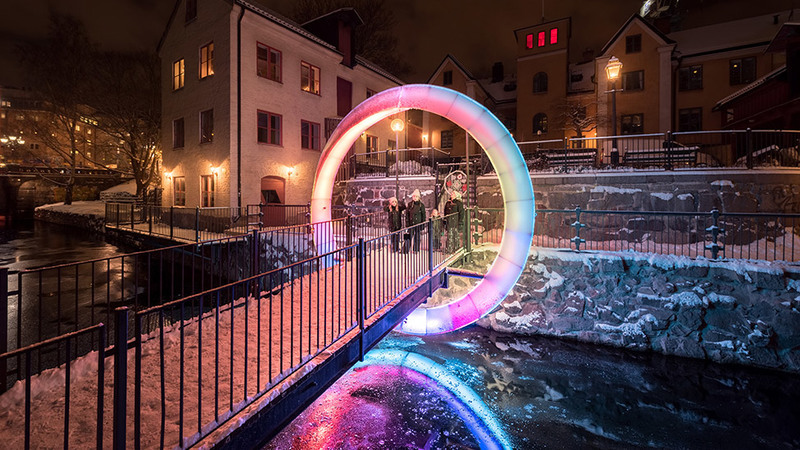 Various artists, designers and architects from all over the world participate in the festival with works of art made of light and related to the theme of the year. The winter 2017/2018 edition of this festival of light in Amsterdam will have two tracks and will be divided into two routes . Each of the routes will respond to a specific topic and has been designed thinking of the point of view from which the viewer can enjoy: an itinerary to be seen and done on foot and another to see from a boat navigating the canals . The land route away from the center after five years to be held from December 14 2017 to January 7, 2018 in Intermarriage Amsterdam , a new urban area close to Amsterdam Central Station. The exhibition is open access, every day from 5:00 pm to 10:00 pm (until 8:00 pm on New Year’s Eve), and there is no per-established route, so you can freely wander around the space watching the works of your choice. The itinerary boat seems a little easier to understand (and comfortable to follow) and can be seen from November 30 to January 21, 2018 . The theme proposes artists to use Amsterdam as a canvas to give “a new vision of the city, its architecture and its role in the world”. During the festival, various works of art illuminate the canals of Amsterdam daily from 7-23 hours. To see the festival by boat, navigating the illuminated canals, you must book in advance the night cruise that will take you through all the sculptures and installations. But you must hurry because the squares run out very fast. Yes, winter can be eternal in northern Europe, and that scares many travelers. But if you pay attention, instead of freezing from the cold, you can warm up under the cozy lighting of your Christmas lights. So do not hesitate to visit Amsterdam in winter, it’s much more fun than you think. Be the first to comment on "What to do in Amsterdam in winter"